The companies partnered to create seven video-based case studies that include CAVA leadership and that present real, current business-case scenarios for students, from freshman to master’s degree levels, to work on as part of business coursework. Real Time Cases, which links the professional world to higher education classrooms through more than 200 video-based and interactive business-case scenarios, and CAVA, a U.S. privately held restaurant chain focusing on casual Mediterranean cuisine, have partnered to create a series of Management, Strategy, Human Resources, Finance, Operations, and Marketing case studies for higher education business classes that are sure to fuel creativity and excitement for learning in students across the country. The companies partnered to create seven video-based case studies that include CAVA leadership and that present real, current business-case scenarios for students, from freshman to master’s degree levels, to work on as part of business coursework. Each case includes a CEO overview, a background video about the company, and the case/business challenge itself. 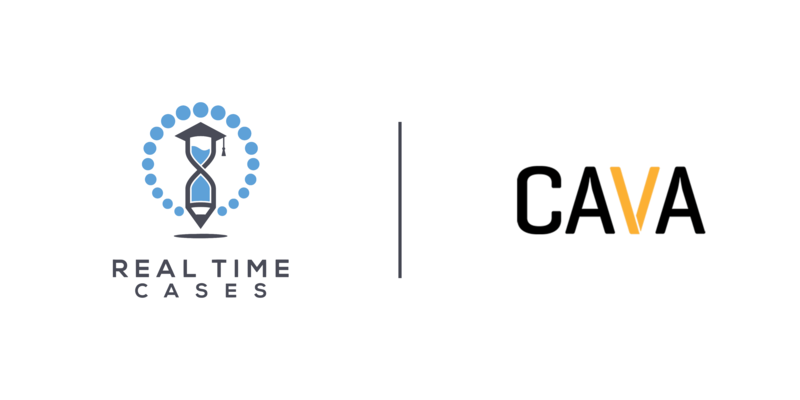 The partnership with CAVA aids Real Time Cases in their mission to present innovative case studies from ground-breaking companies into higher education classrooms. Most college students throughout the country will know of CAVA’s great food, and the hope is that this familiarity with the chain will make students just as hungry to learn about their business and unleash their creativity to help address CAVA’s unique business challenges. Current Real Time Cases’ curriculum spans business disciplines, including Marketing, Organizational Behavior, Entrepreneurship, Strategy, Finance, Hospitality, Accounting, Operations, and more. ← FAQ Series: What If I Already Use Free Online Resources?